Tue., 25 Jun. - Thu., 11 Jul. See all 120 properties in Missoula Intl. Situated near the airport, this hotel is 0.6 mi (0.9 km) from HUB Family Entertainment Center and within 3 mi (5 km) of Smokejumpers Center and Rocky Mountain Elk Foundation. Wye West Casino and Lounge and St. Francis Xavier Church are also within 6 mi (10 km). 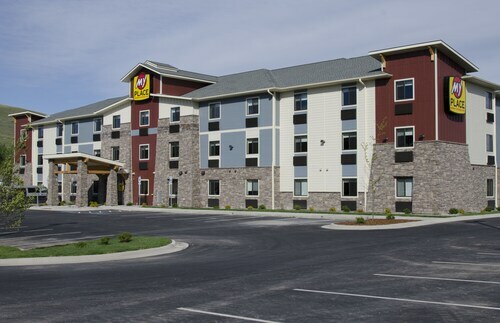 This family-friendly Missoula hotel is within 2 mi (3 km) of HUB Family Entertainment Center and Smokejumpers Center. Rocky Mountain Elk Foundation is 3 mi (4.9 km) away. 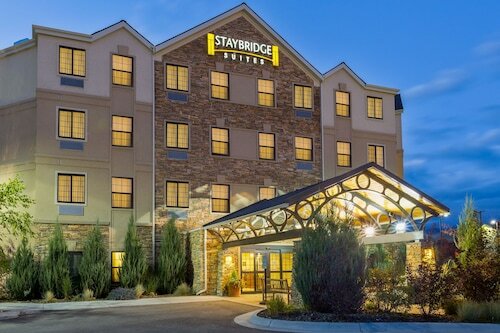 Situated in Missoula, this hotel is 0.4 mi (0.7 km) from Rocky Mountain Elk Foundation and 1.9 mi (3.1 km) from HUB Family Entertainment Center. University of Montana and St. Francis Xavier Church are also within 6 mi (10 km). 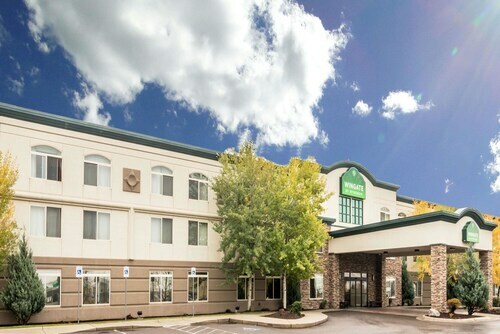 Located in the heart of Missoula, this motel is 0.3 mi (0.5 km) from Rocky Mountain Elk Foundation and 2.4 mi (3.8 km) from HUB Family Entertainment Center. University of Montana and Smokejumpers Center are also within 6 mi (10 km). 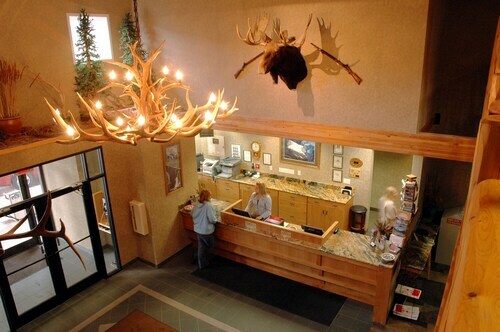 Situated near the airport, this hotel is 1.1 mi (1.7 km) from Rocky Mountain Elk Foundation and 1.4 mi (2.2 km) from HUB Family Entertainment Center. Smokejumpers Center and St. Francis Xavier Church are also within 6 mi (10 km). 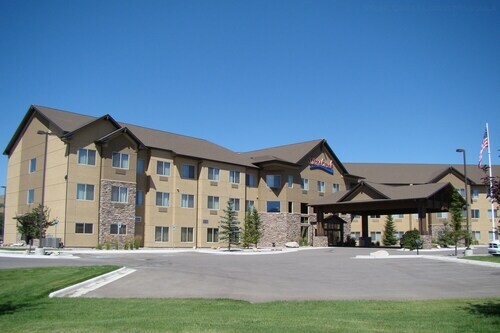 This family-friendly Missoula hotel is located near the airport, within 3 mi (5 km) of Rocky Mountain Elk Foundation and HUB Family Entertainment Center. Smokejumpers Center and A Carousel for Missoula are also within 6 mi (10 km). Situated near the airport, this hotel is 0.3 mi (0.5 km) from Rocky Mountain Elk Foundation and 2.4 mi (3.8 km) from HUB Family Entertainment Center. University of Montana and Smokejumpers Center are also within 6 mi (10 km). Situated near the airport, this hotel is 0.3 mi (0.5 km) from Rocky Mountain Elk Foundation and 2 mi (3.3 km) from HUB Family Entertainment Center. Rattlesnake National Recreation Area and Smokejumpers Center are also within 6 mi (10 km).